We set out one Saturday morning to find some obscure hikes and we completely lucked out. It’s not often we are all alone on a trail, especially on a weekend, and definitely not on a beautiful sunny day…but it happened! Days like these, it’s impossible not to be filled with love for the island and gratitude that we are able to enjoy this beauty together. We started the day with driving up to the Northernmost point on the island, Kahuku Point. We parked in the Turtle Bay Resort lot (they have spots marked off for beach goers) and began our sandy trek along the coast. I brought my family here when they were visiting hoping to see turtles — it’s called Turtle Bay, we just assumed it’d be a good place to spot something?! 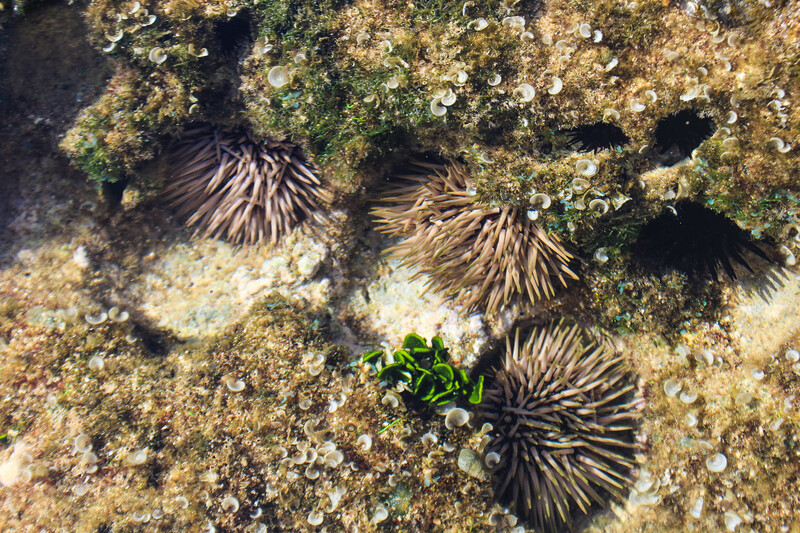 But unfortunately we didn’t see anything besides some creatures in the tide pools. Well, guess who was waiting for us like 20 feet into our walk? 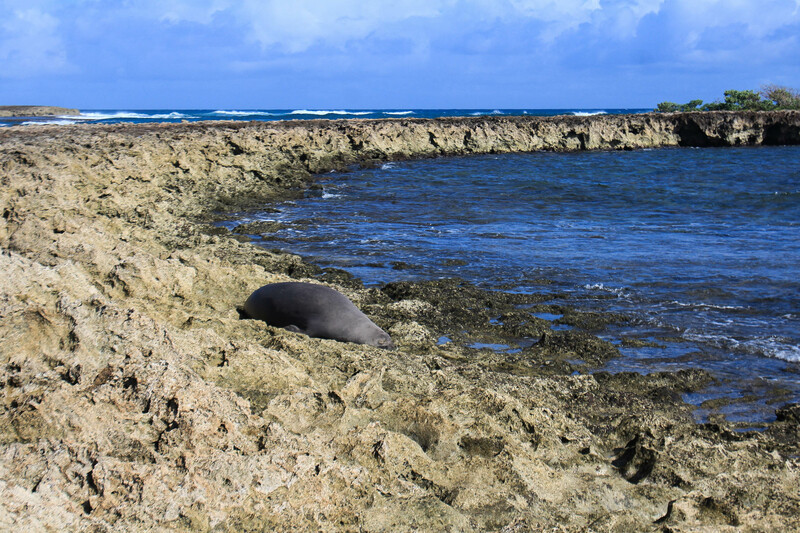 Not a turtle, but a monk seal! Our second sighting this year (the first being at Kaena Point)! I suppose these sea creatures are like deer in the Midwest — you see a wooded area and can safely assume that deer live there, but that doesn’t mean you’ll always see something when out for a walk. We definitely lucked out today. We saw plenty of different creatures in the tide pools as well. 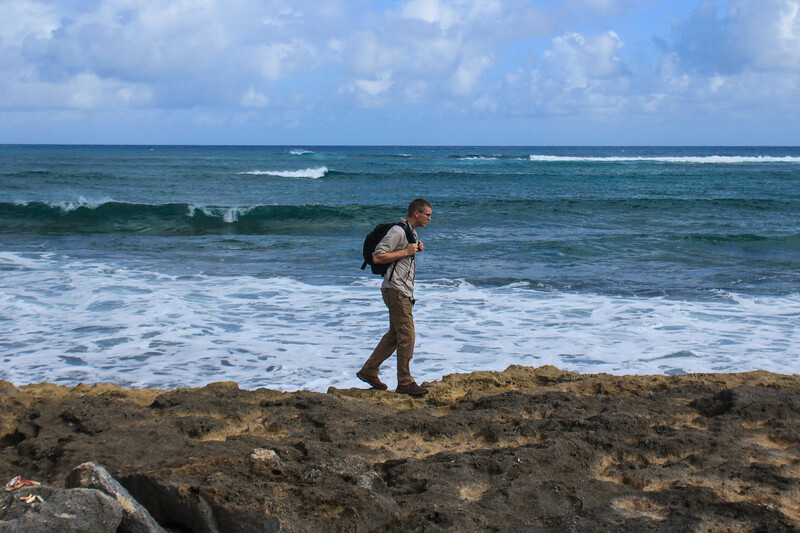 Our next hike was heading back down the Windward side, located in the small town of Hau’ula. We parked in the beach parking area along the highway and walked through a neighborhood to get to the trailhead at the end of the road. After passing the yellow gate, we continued until the trailhead sign. There are 2 different loop trails here, and we intended to just do 1 for the day. 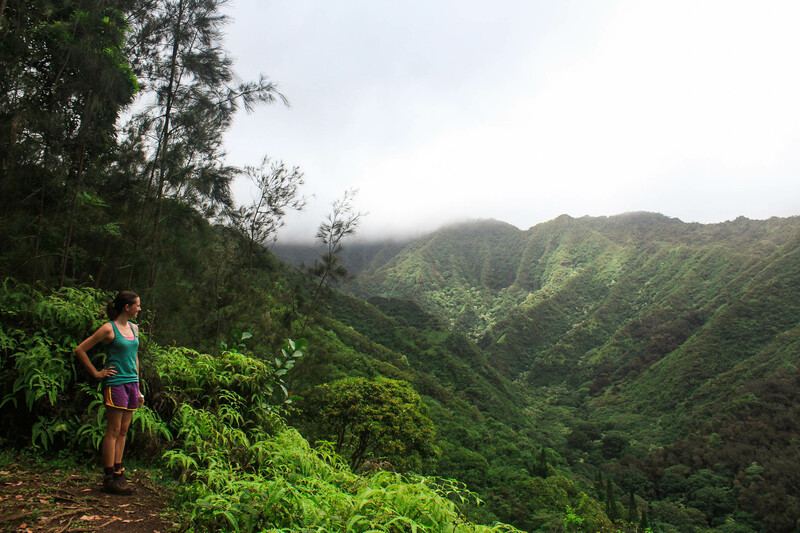 We decided to start off by hiking the first that we came across: the Hau’ula Loop. There were a couple scenic vistas and views of the Ko’olau mountains and valleys. 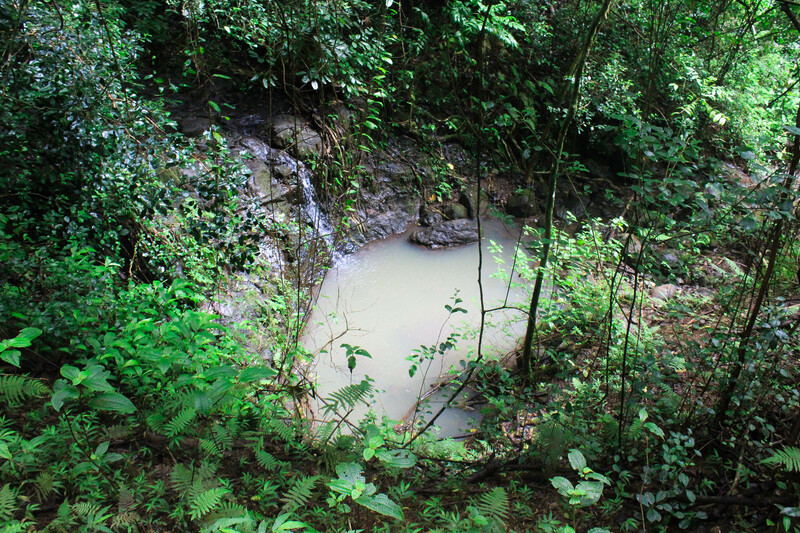 I personally loved the overlook we found with a lush green foreground, and the bright blue ocean in the background. It was one of those views that makes you appreciate the true, natural beauty of the island — no buildings, tourist traps, or crowds of people, just us and a secret spot on this island we call home. But hey, not all tourist traps are bad…we picked up delicious malasadas from outside the Polynesian Cultural Center. We don’t eat out very much here, but we’re always up for some malasadas or shave ice cream from Snow Factory. It’s the best way to reward ourselves for hiking!